Sometimes you need to move on to a new city, but it’s been a great run here in Wilmington, NC, right? Say farewell to our town by making sure you don’t miss some of the great things to do here. 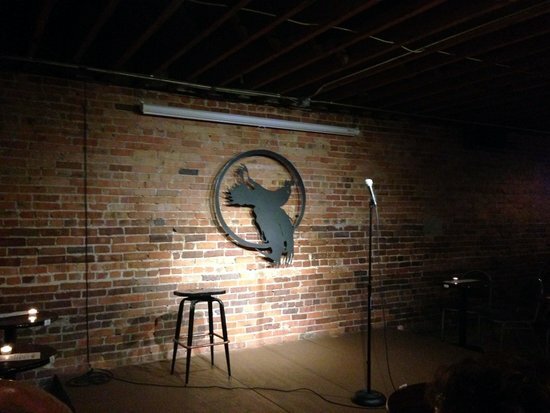 Take a little time to be a tourist in your hometown and try some things you may have skipped. Did you say, “Oh, I’d like to try that one day?” Now’s the time, before you move! Been Stand Up Paddleboarding (SUP) yet? It’s not that hard, and it gets you out on the water. Take a lesson or a tour at Wrightsville SUP, Carolina Paddle Board Co., Cape Fear Paddleboarding, and several other locations. Rookies can start with calm sound waters and work their way up to ocean waves. There are plenty of other water sports to partake in if paddleboarding isn’t your speed. There is a lot of rich history, culture, and science in the Cape Fear Region. Before you move from Wilmington, take yourself and the fam to visit local favorites: Cameron Art Museum, Wilmington Railroad Museum, Cape Fear Serpentarium, Bellamy Mansion, Battleship North Carolina, and more. 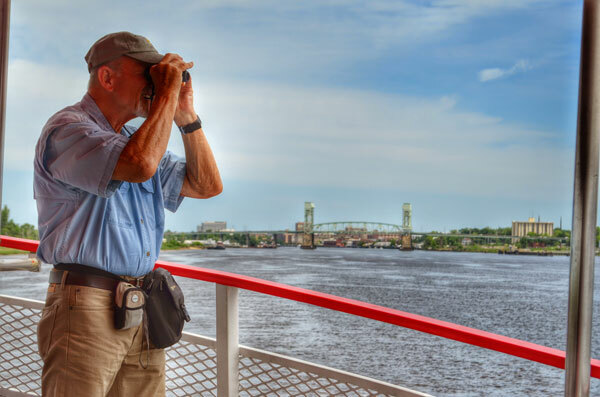 Ever walked past the one of the riverboats on Wilmington’s Riverwalk and said, “I need to take that cruise on the Cape Fear River—later?” Before you move away from Wilmington, try a narrated sightseeing cruise during the day or evening for a sunset cruise. You’ll see a whole different side of downtown Wilmington from the water. Listen to the ocean all night long when you camp at Freeman Park at the north end of Carolina Beach. If you’re careful, you can have a campfire and even bring your dog. The stars and the salt air will be a fond memory to carry with you when you move away from Wilmington. Spend a special evening out in Wilmington, NC with your spouse or friends, and leave the driving to Event Shuttle Service. This little bit of luxury makes an evening extra enjoyable and there’s no hassle of parking. Plus, you can have a couple of drinks without worry! Try the Party Sprinter Shuttles or the elegant Mercedes E350 sedan. 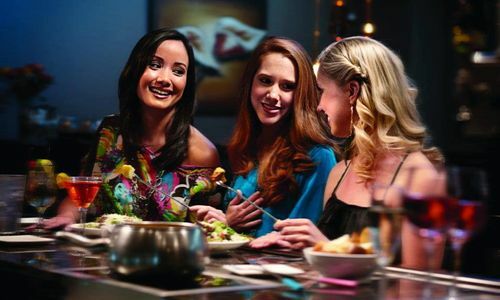 Every Tuesday, you’ll find women gathering with their girlfriends to enjoy the $8.95 cheese and chocolate fondue special at the Melting Pot of Wilmington. Ladies Night Out means catching up with friends over a delicious meal. Or try the Summer Seafood Catch Entrée offered standalone or as a 4-course special. This lovely 10-acre site offers a relaxing walk any time of year. Enjoy 100,000 azaleas in spring, summer concerts, fall foliage and Enchanted Airlie in winter. It’s not to be missed. You get twice as much bang for your buck when you watch fireworks reflected in water. See fireworks downtown over the Cape Fear River July Fourth, or enjoy the sparkle at the holiday flotilla each November in Wrightsville Beach. In the spring and fall, Wilmington is all about festivals. Have you missed any? There’s lots to do at the Azalea Festival in April and Riverfest in October. And don’t miss St. Patrick’s Day and the Cape Fear Beer Fest in March, the Cape Fear Blues Festival in July, and the Lighthouse Beer and Wine Festival in Wrightsville Beach in October, among many others! Wilmington NC Breweries include: Flytrap Brewing, Front Street Brewery, Good Hops Brewing, Wilmington Brewery Company, Broomtail Craft Brewery, Ironclad Brewery, Waterline Brewery and new ones popping up all the time. Gather up your friends for a brewery tour on foot or by shuttle before you move! 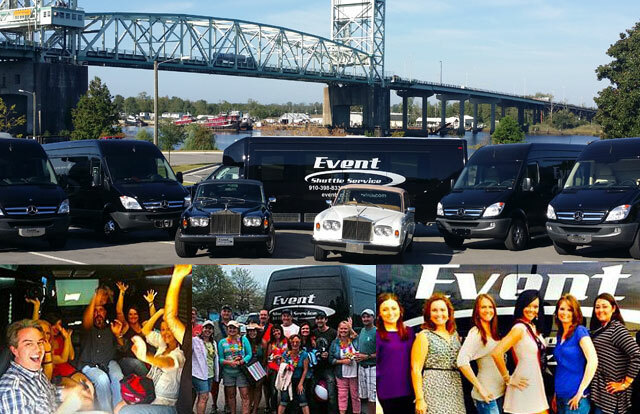 Wilmington has lots of local breweries, and if you haven’t sampled them all, a tour in one of the chauffeured limos we mentioned from Event Shuttle Service will fill in the blanks. You can sample the suds without worry because someone else is driving. When you’re finished being a tourist in your hometown of Wilmington, be sure to call Few Moves Moving Company to help on your way to your new place. We have all the licenses, insurance and experience needed to move you across town or across the country. 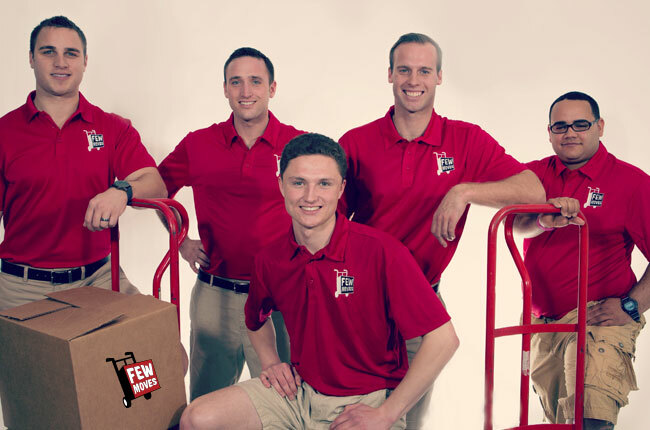 Our professionalism and team of movers sets us apart from the competition. Call Few Moves today at (910) 512-6999 to talk about your next move, or request a free quote online.